When you need commercial roof replacement, Roofing Vancouver BC promises to provide services and materials that will make your roof looking brand new in no time. Is your commercial roof in need of replacement? Do you need commercial roof replacement services? With a few years worth of commercial roofing experience, we can safely claim to know something about roofing commercial property. Roofing Vancouver BC understands roofing the same way we know your roofing needs. We have been in the roofing business in Canada for a while and have replaced quite a number of commercial roofs within Vancouver. We know what it takes to provide the best commercial roofing replacement while guaranteeing minimal to no interruption to a business’s operations. Roofing Vancouver BC is the roofer of choice when it comes to commercial roofing replacement. How do we replace your roof? Of all home repair activities, replacing a roof is arguably the most challenging activity. 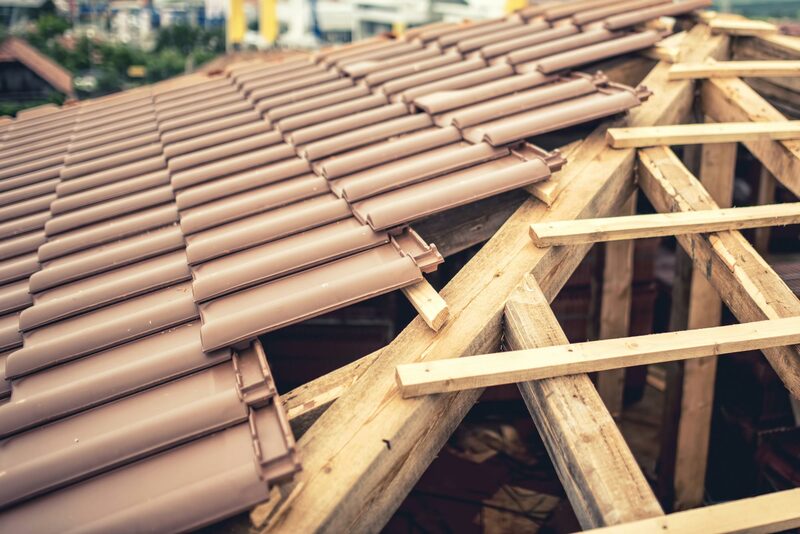 While we cannot say a new roof gives your house the glamour it deserves, a new roof is important, especially where the old roof has failed, allowing water to flow into your property. Our crew follows a simple but effective process when replacing your roof. We begin by removing existing roofing material. We carry out minor repairs where the roof is in good working condition. We also apply ice dam in areas that need it. The next step is the application of asphalt paper over your roofing sheath to create a barrier that prevents water from entering yours into your property. A metal drip edging is also applied around the roof if the slope and property’s design allows it together with a valley flashing. Tan shingles follow suit begin at your eaves and we work our way up to the peak. Flashing is also applied in areas with the potential to let in water like around your chimney, skylight or the stack vent. Our crew finishes up by installing a ridge vent. The final step is cleaning up and carting debris for disposal. We also carry out an inspection of the work we do, as a necessary step in our quality assurance process. If your property is quite old, continuous repair can only go so far. Why? well, as commercial building continues to age, all manner of problems begin to crop in. commercial roofing materials have a lifespan of about 50 years. If a roof is quite old, it makes sense to have it replaces with new, stronger and durable materials. Why do you need to replace your roof? Roofs with obvious damage like a deteriorating flashing, or visible cracks can lead to water draining into your property. Usually, in such a case, our experts’ advice is to have the entire roof replaced. Additionally, if you want to insulate your building using newer materials to keep heated air trapped inside the property, a new roof may be what you need. Get in touch with us and we will help you make the right choice. If you have a leaking roof, that is a direct indication that there is an issue that needs your immediate attention. Leakage can cause water damage. Roofs with multiple leaks do not need to be repaired. They need a total overhaul to replace existing materials. An average sized, professionally done roofing replacement might take fewer than 4 days. We have enough experience to add life to your roofing because we know how long a typical roof should last. Our roof replacement techniques are tailored to ensure your roof will outlive its lifespan. You also save on materials because we will not skimp on quality or add unnecessary additions to a basic roof replacement request; however, you can ask for custom work for a different type of roof replacement. The length of time it takes to do a roofing replacement worries many property owners. Why? A roofing replacement project is noisy, understandably. So most people prefer to have it done in a short time, where possible. Because commercial buildings are large and their roofs have complex profiles, we prefer to come in and assess your property. We do not like making promises we cannot deliver. Typically, we take about two to three weeks for a significantly large building. Once we are done with the roof replacement process, we like to inspect our work to ensure we did everything right because your roof protects your belongings from damage. To know more about roof replacement costs, contact us today. However, in the event your property requires extensive work and we are not able to finish the same day, we will advise you accordingly so that you make preparations to have your roof replaced without interruptions. We also ensure that we schedule our replacement on a day that will not cause any inconveniences to you or the people who use the property.